So, you don’t consider yourself a wine connoisseur. In fact, wine isn’t usually your drink of choice, but you thought a Swan Valley wine tasting tour would be a fun way to spend an afternoon with friends – and you’d be right! You’re also wondering what’s with all the ‘swilling’, ‘sipping’, ‘swirling’ and ‘sniffing’. Is it all purely for show, or is there actually something to it? 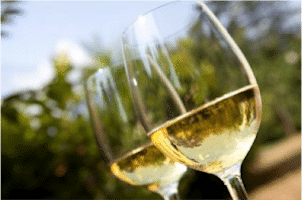 In our latest blog, we provide you with a bit of wine tasting 101; 7 tips for beginner’s sips. The sense of smell and taste are closely linked, so competing scents will interfere with your ability to taste the wine and discover its properties. And because smelling the wine is such a big part of wine tasting, we recommend not showering yourself with copious amounts of aftershave or perfume that day. Before you get tasting, take the time to stop and smell the roses (or in this case, the wine). Take the time to get your nose into that glass and see if you recognize any familiar aromas. Now it’s time to swirl! Just be careful though, because I am sure you don’t want to end up wearing your wine in the Swan Valley, as well as drinking it. No matter how you swirl the wine, your technique is completing a vital step in the wine tasting process, because you’re letting oxygen into your wine and oxygen is wine’s friend. Why? Because it helps the wine ‘open up’, which means that the wine begins to break down, softens and starts giving off its aromas. Along with the release of oxygen, what you will physically notice, is wine trickling down the sides of your glass. This is commonly referred to as ‘legs’. The more ‘legs’ in your glass, the more alcohol in your wine. We have to be clear though, legs don’t equal quality, just alcohol content. When tasting wine, don’t be so quick to drink it. Hold the glass for a while… Not only does this provide ample swirling time, it allows you to look at and appreciate the colour of the wine. You can do this by looking at the wine from above, the side, and on an angle whilst (carefully) tilting your glass. But isn’t white, white and red, red? Not necessarily. So, take time to appreciate the different colours. Whites can range from a very light greeny gold, through to a rich amber gold. Reds can be light and almost transparent, inky and dark or something in between and could be coloured a range of shades from rust to rich purple hues. 5. Do more than just sip your wine … swill! Just because you’re on a Swan Valley wine tour and possibly even in training to become a wine tasting master, don’t feel that you can only take a little sip. Go for it! To truly taste the wine you need to take a good mouthful and swill it around your mouth a little, as if you’re rinsing after brushing your teeth. Sound a little gross? Wondering why you should do it? Well, wine experts say, that by swilling the wine around your mouth a little, it will wash over your tongue, allowing you to taste more of the sweet, sour, bitter and/or salt tones (yes, surprisingly, some wines do have a little saltiness about them). Swilling the wine around your mouth can also assist with calming down the acidity often present in young wines. The act of washing the wine around your mouth gives the fruit a chance to shine! Thinking about tasting wine and going on Swan Valley wine tours regularly? Remembering the flavours you tasted in a wine last week isn’t easy, so making notes in a wine journal will help. Not only will note-taking make it much easier to recall a previous wine tasting experience, it will also make it much easier for you to compare wines. With your own wine journal, you’ll be a wine tasting master in no time! Wondering what flavours to expect in whites and reds? Or maybe you just want to know some of the terms to impress your friends with? Fruit: Stone fruit, tropical fruits, melon, apple, any version of citrus, passionfruit, gooseberry or lychees. Floral: Honeysuckle or lemon blossom. Herbs and Spices: White pepper, grassiness, or fresh hay. Oak: Coconut, caramel, buttery or toasty notes. Earthy: Flinty or stony finish. Fruit: Blackcurrant, strawberry, raspberry, blackberry, blueberry, cherry, plum or jam. Floral: Violet, rose or lavender. Herbs and Spices: Dried herbs, stalkiness or tomato leaf, pepper, anise or other woody spices. Oak: Smokey, vanilla, sweet tobacco, chocolatey, coconut or toasty. Earthy: Soil, flintiness or wet rocks. There you have it – The basics of wine tasting and 7 tips for your beginner’s sips! Now that you know a bit about sniffing, swirling and swilling, you’re ready for your next wine tour. With the Swan Valley only 25 minutes from Perth, what are you waiting for? Book your next Swan Valley Wine Tour with Top Guns Tours today. Posted in Wine Guide and tagged guide for beginners, Swan Valley, wine tasting on 16th February 2018.